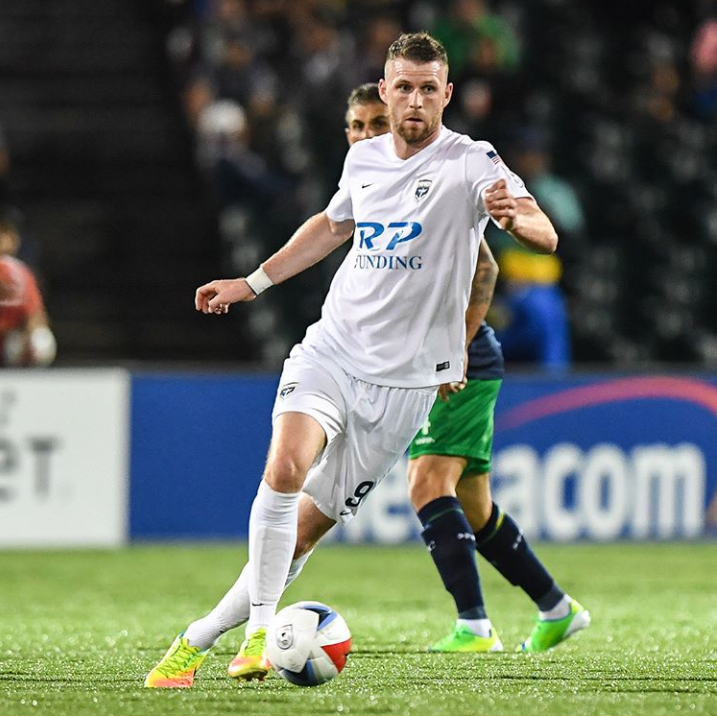 Ciaran Kilduff has been named on the NASL Team of the Week following his side Jacksonville Armada FC’s 2-0 victory away to New York Cosmos on Sunday night. Kilduff, who scored his sides’ second goal, was named in a front three on the leagues team of the week alongside two of his team mates, Caleb Patterson-Sewell in goal and Kalen Ryden in defence. Kilcock man Kilduff was lining out in only his third game for the Florida State club and repaid his new manager’s faith by scoring his first goal for Jacksonville before half time, cementing their lead. Armada have now won two of the three games Kilduff has been involved in, beating Indy Eleven FC 3-2 last week. This weekend’s return game with Indy has been re-scheduled due to the impending Hurricane IRMA. Stay safe Ciaran and all affected.